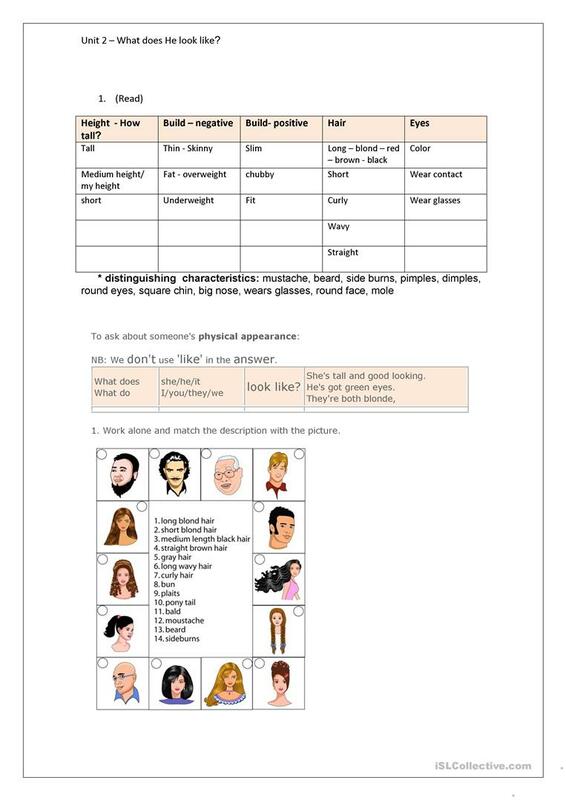 This activity helps the student learning vocabulary and also the questions that are used to ask about physical look. 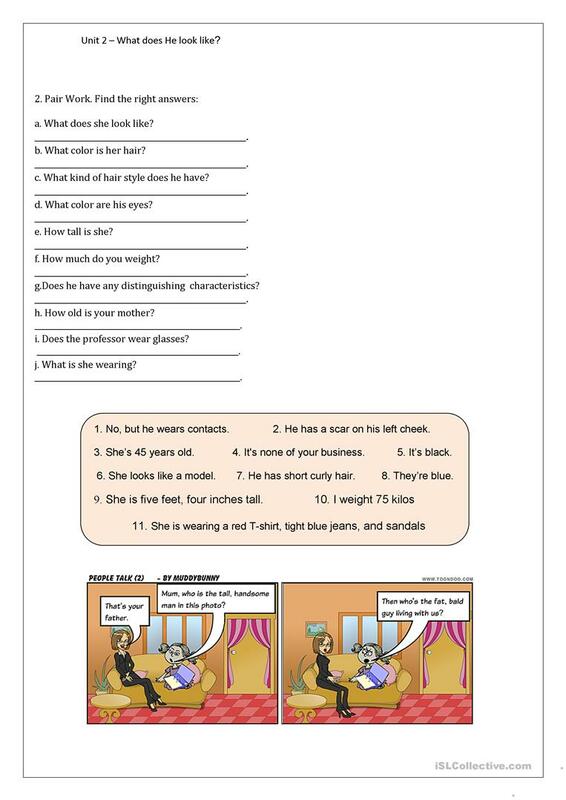 This downloadable worksheet is intended for adults at Pre-intermediate (A2) level. It is valuable for teaching Adjectives in English, and can be used for strengthening your groups' Speaking, Reading and Writing skills. It focuses on the topic and words of Describing people. ISAS is from/lives in Brazil and has been a member of iSLCollective since 2012-03-07 21:49:20. ISAS last logged in on 2012-03-13 02:38:33, and has shared 1 resources on iSLCollective so far.